How do you make a quick cheese sauce? The answer is simpler than you think. Many traditional cheese sauce recipes call for a roux. If you don’t know what a roux is, it is a mixture of butter and flour used to make sauces. While I don’t mind a roux in some recipes, I wanted to create a super simple method to making a quick cheese sauce that did not require a roux. The answer, in short, is to use cornstarch. Cornstarch is a natural thickener that also happens to be gluten free. Using cornstarch in a recipe not only makes it easier, but you will not have that flour-y taste that some roux recipes can give. Use this guide and your flavor possibilities are endless! All you do is add all of the ingredients to a sauce pan and stir/whisk until thick and creamy. That’s it! I have created several cheese sauces using this simple method, and they are not only delicious, but ready in under five minutes! 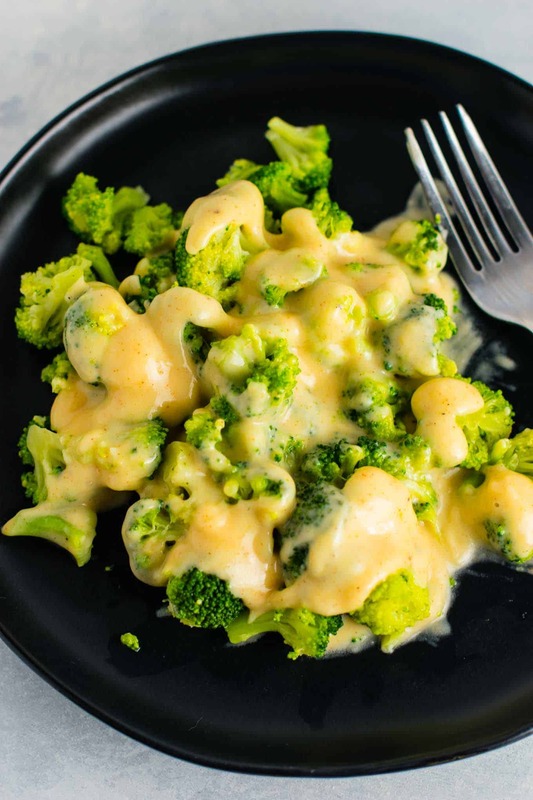 My basic cheddar cheese sauce recipe is perfect to serve over your favorite vegetables. It is mild and uses cheddar cheese and just a few simple spices. This is a great recipe to get your family to eat more vegetables! Another great way to use this method is when making nacho cheese sauce. 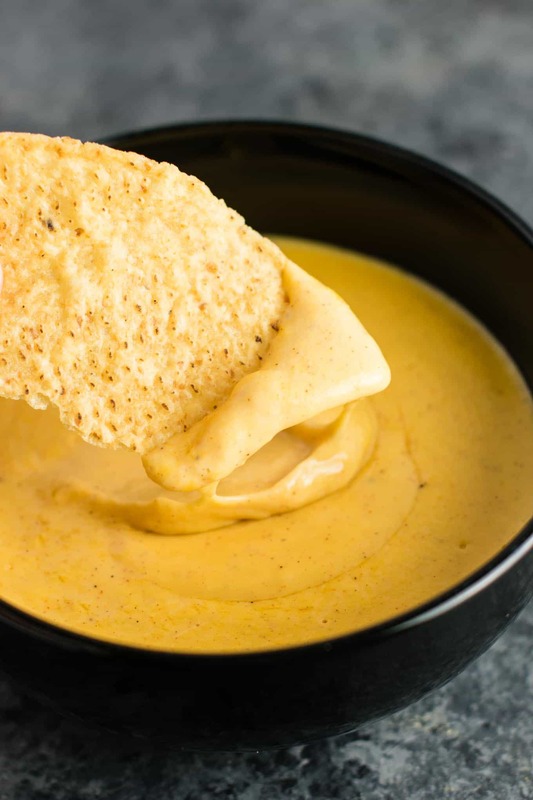 You can make thick and dippable nacho cheese sauce in just five minutes and it is HEAVENLY. Our favorite way to serve it is poured over sweet potato refried bean nachos. This nacho cheese sauce is the perfect addition to mexican night! It uses freshly grated colby jack cheese and has tons of flavor with just a little bit of heat. These two sauces are just a few examples of what you could make! Experiment with different cheeses and spices and create your own easy cheese sauce recipe!